News - Site de amelielegrand ! 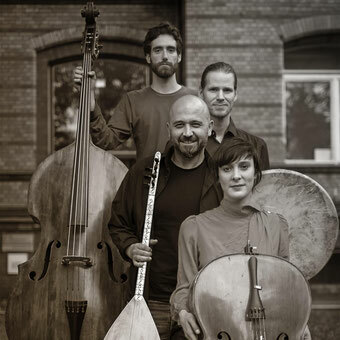 Amélie is part of Christophe Rodomisto ensemble. From the 19th to the 22th of October 2018 @ Le Cadre Noir de Saumur. February 2018- Elmer Kussiac new Lp available!! Rudar is the Slovenian entry! Congratulation to Hanna Slak that was awarded best Director in the Slovenian Vesna awards. 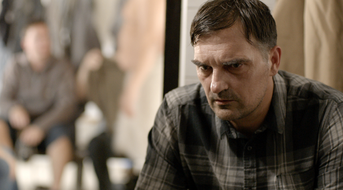 Rudar/The Miner received two more awards for Best Actor and Best Edit! "In the last days of the city" Release in Germany! 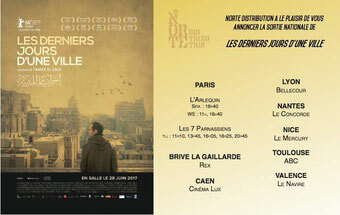 "In the last days of the city" release in France! 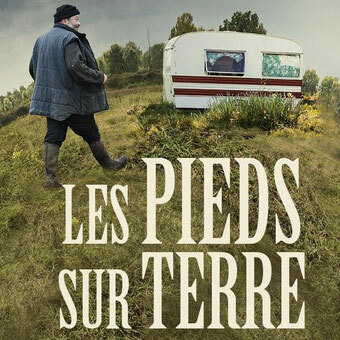 Sortie Nationale du film " Les Pieds sur Terre" ! Meeting Shady Moones for a special night in Cairo. 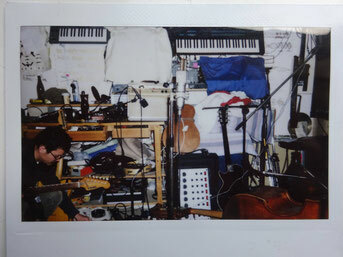 Glocal Express is recording is first album! More infos are coming soon..
Les pieds sur terre from Batiste Combret and Bertrand Hagenmüller, première and screenings in November 2016! Elmer Kussiac just completed the first phase of recording our new album in a hidden studio in Kreuzberg, Berlin, with a mysterious sound engineer, fixing a frozen moment in time on analogue tape. We will soon embark on the next step of transforming these captured moments into a delicious stew for your listening pleasure! Very excited to have won the second prize in the Internationale Kurzfilmtage Oberhausen for Organ Movement from Guillaume Cailleau and Elmer Kussiac! June 2016, Amélie just came back from one month residency in Belle île en mer, residency curated by Isabelle Arthuis. 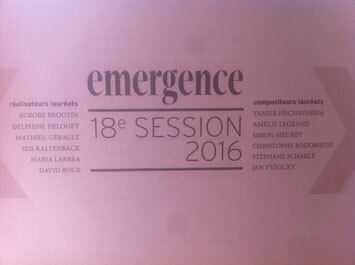 Amélie is one of the six composers selected to participate on the program Emergence 2016 in France. 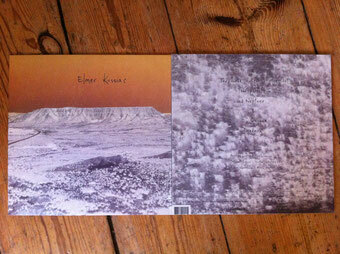 Elmer Kussiac is now ready to record and produce their first full length studio album in the form of a vinyl record. Together with the help of Adem from Berlin's 33rpm Records label, over the next 6 months Elmer Kussiac will record, edit, mix and master the album, which will then be pressed onto 300 vinyl records in October 2016.